Glossy matte PP sheet of gloss matte surface available in various thickness, sizes, colors & grades. 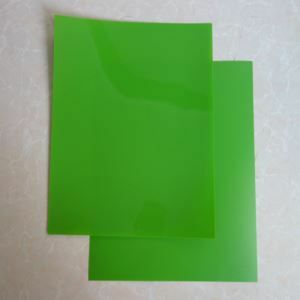 Polypropylene sheet with one side matte and one side glossy is available in thicknesses from 0.3mm-3mm and in sheet sizes up to widest 1.35m while no limits on length. This PP sheet is usually applied to notebook cover, packing box, printing card, table mat, lampshade, shoes filler etc. Our PP sheet with special treated can keep long life of printable for 2 years. 30% deposit by T/T and balance before shipment. Q: Is the PP sheet printable? A: Yes, all our pp sheet is corona treated so it is printable. And our PP sheet with coating can keep long printing life for 2 years. Q: Is it easy scratch on glossy side? And how to avoid it? A: Yes, the glossy side of PP sheet is easy scratched but we will attached the stretch film on glossy side to prevent it from scratch during shipment. Q: Is OEM orders available? A: Yes, all sizes and colors are available.